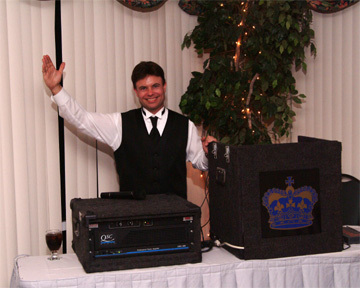 Upon graduation, Jay hosted a variety of radio shows around the Buffalo, New York area, but after missing the live interaction with his audience, he started moonlighting as a mobile disc jockey for weddings, parties, and banquets. This gave him instant gratification and it wasn't long before he realized the mobile dj scene and Jay Rock were a perfect fit! Jay formed his own dj company, Majestic Sound, in 1993, and while it was becoming extremely successful, the call for a warmer climate and coastal lifestyle prompted him to relocate to Jacksonville, Florida in 1996. ​It didn't take Jay long to get rolling in North Florida! 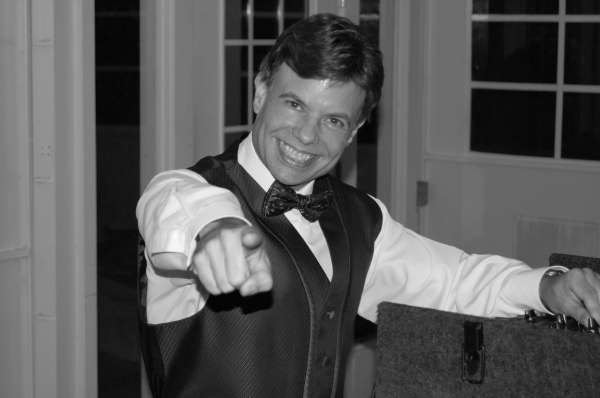 He's now performed in over 1,000 awesome events around the area, from birthday parties, to anniversaries, to numerous corporate affairs. His main love however is wedding receptions. Majestic Sound became A-1 Majestic Sound, then A-1 Majestic Sound (All Star Djs) due to the amazing group of professionals he's compiled over the years. 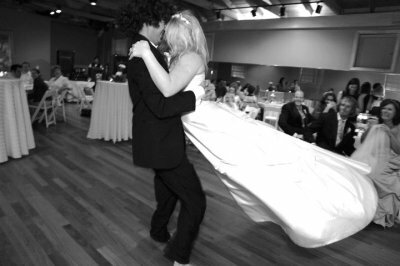 entertainmeHis mission always has been to provide the bride and groom with high quality service at a very reasonable price. 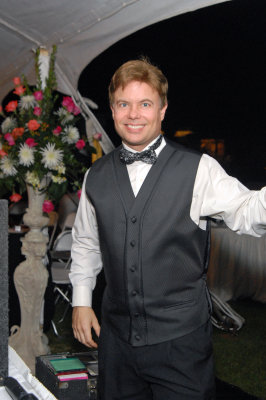 Jay truly appreciates his clients, he helps coordinate their event and does everything in his power to assure their big day becomes everything they dreamed it would be! At A-1 Majestic Sound (All Star Djs) only the highest standards are acceptable, and Jay's expanding business features only experienced pros who entertain as well as play the music that you love. Jay takes great pride in making his customers happy and pledges to help your event become a memory to cherish for a lifetime! Our Awesome Reviews On Wedding Wire! Just wanted to let you know that your hard work made the reception! You were professional and attentive throughout the process, checking out the venue, listening to our preferences, and adjusting to last minute changes. The announcements for our entrance, specialty dances, speeches, and cake cutting were great, well-timed, and entertaining. The music selection was awesome- songs I never would have thought of got people out on the floor and dancing all night. 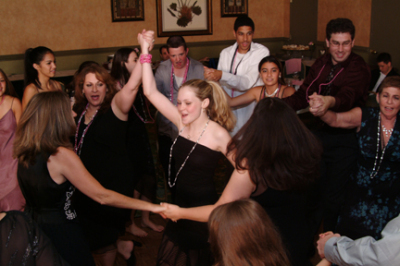 (Lol, I will always remember dancing to "Walk like an Egyptian..." with most of my female relatives.) We couldn't believe how long you kept the party going! Everyone raved about how it was one of the most fun weddings they had ever been to. 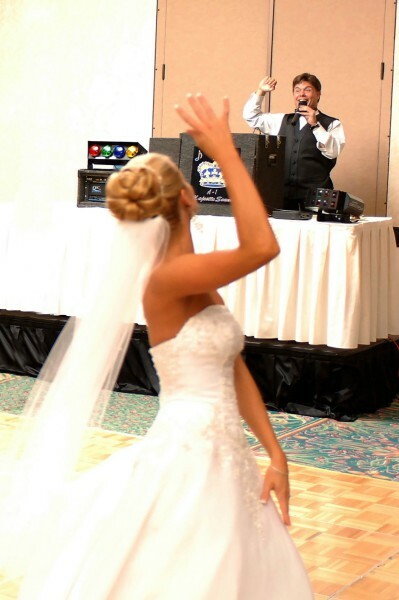 We had initially considered an "iPod wedding," but thank goodness we changed our minds! To anyone is considering simply making an iPod playlist - don't do it!! We can't imagine the wedding without Jay managing the timing and making such good music choices based on the mood in the moment. You are very talented at what you do! We plan to recommend you to any friends needing a DJ in the future. Jay and his partner Roderick were incredible! My husband is in the military so we had to book a DJ not knowing an exact date until 3 months out. He was amazing. 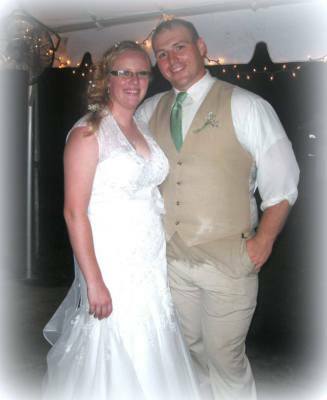 We even changed the time of our wedding and he had no problem with it. The music was amazing! Everyone enjoyed the music. I have already recommended them to several people! sure all my requests were met. I will recommend you to anyone who needs a DJ.